On Labor Day the Kmart site was fenced but quiet. The walls started coming down two days later. As you might expect, replacing the abandoned Kmart department store in Albany with a WinCo supermarket involves a lot of numbers including substantial dollar amounts. Let’s take a look at a few. The Kmart store was built in 1974. Even after it closed in 2014, the tax assessor valued the building at $3.6 million. Together with the land, the property was assessed at a real market value of $8.3 million and a taxable value of $7.9 million. Last fall, even with the store closed, the land owners paid $140,288 in property taxes. That included $48,400 to the city of Albany, $12,900 to Albany schools, and $9,500 to Linn County. On its building permit, the city of Albany values the construction of the new supermarket at $7.5 million. That’s based on size, which at 86,600 square feet is only slightly larger than Kmart’s 85,350. Actual construction costs typically run higher than what’s listed on the permit based on the size formula, says Albany Building Official Gary Stutzman. WinCo’s contractor DTL Builders of Riverton, Utah, got the demolition permit in July. Dori Bergdorf, who with her husband, Jeff, founded the company in 2008, is quoted on the website of US Builders Review that it has completed 33 projects for WinCo and typically hires local subcontractors for part or much of the work. For the review of its site plan, applicant WinCo Foods LLC, of Boise, Idaho, paid the city an application fee of $16,586. When it applied for a building permit, the price went up. Fees listed in the building permit total about $828,700. Street system development charges account for most of that, or more than $681,300. The reason is that the supermarket expects to generate substantially more traffic than Kmart did. First, remember that the assessed value and taxes that follow are set by Linn County. if you think they’re out of wack the contact Roger Nyquist. SDC charges are based on the impacts the development will generate. Water, Sewer, and Streets were set years ago based in every development paying a proportional share of the total needed to fund needed expansion of the systems to accommodate those needs, city wide. 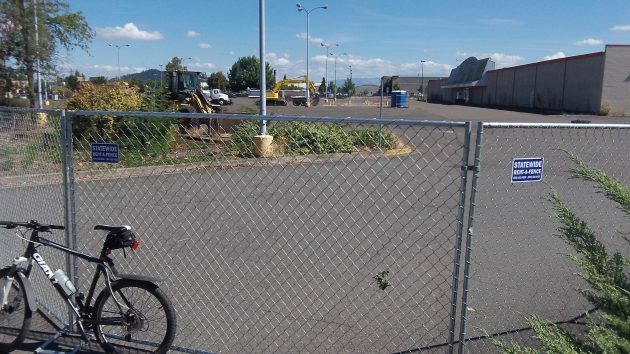 WinCo knew that and figured that into their plans when they decided to go ahead with the project. Good for them! The obviously see the probability of making a profit. Stop throwing mud, Roger Nyquist has nothing to do with evaluations of properties, that is done by the assessor unless it is a great big place like HP and then it is done by the State…..
That is how I read it too. Rich seems pretty sensitive to protecting Nyquist’s shaky reputation. that doesn’t explain the throwing mud comment though, that is what I was referring too.